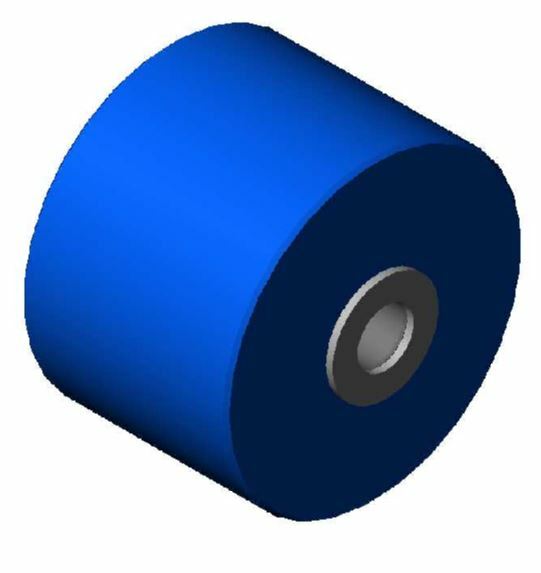 Roller Turn Rollers – ROL2200 – BNB Industries, Inc.
RTR34816 Wheel Assembly – 2.813″ OD x 2.125″, Blue UHMW wheel with stainless steel spanner and flat washers for 1/2″ bolt. RTR34820 Wheel Assembly – 2.813″ OD x 2.125″, Blue UHMW wheel with stainless steel spanner and flat washers for 5/8″ bolt. RTR45816 Wheel Assembly – 2.813″ OD x 2.750″, Blue UHMW wheel with stainless steel spanner and flat washers for 1/2″ bolt. RTR45820 Wheel Assembly – 2.813″ OD x 2.750″, Blue UHMW wheel with stainless steel spanner and flat washers for 5/8″ bolt.